There are so many different vaccines that our dogs get, that it is sometimes hard to keep track of what the different vaccines are and which vaccinations are actually necessary for our dogs. 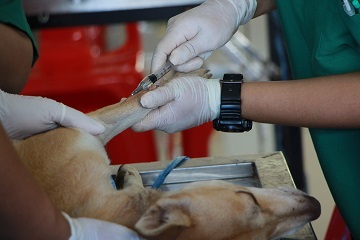 I am going to discuss is the Leptospirosis vaccine necessary for dogs, what is the Leptospirosis or Lepto vaccination is, and which dogs are at greatest risk for Leptospirosis. Leptospirosis is a bacterial infection that dogs can catch. It can be carried by wildlife and spread through soil, water and the urine of infected animals. It can affect dogs, but can also affect a wide variety of domestic and wild animals as well as humans. 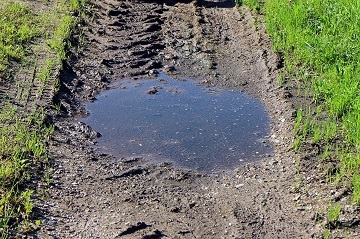 Most times it is spread through infected urine, but can also spread through contaminated water and soil. It can even spread through consumption of infected tissues. If your dog decides to ingest parts of a dead animal that was infected, they run the risk of getting infected with Leptospirosis. 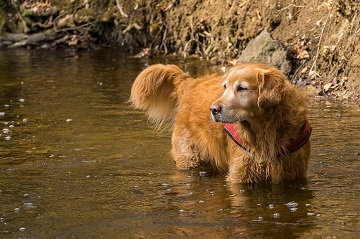 If your dog swims in infected water, the organism can enter their body through skin wounds as well. The bacteria can remain viable in soil for weeks up to months. People can get infected with Leptospirosis from handling dogs that are infected. Wash hands frequently when handling infected dogs and avoid contact with contaminated urine. You might think that your dog is fairly safe from getting infected, but let me give you a few examples that might happen with your dog that can put them at risk of contracting Leptospirosis. If your dog does any of these things, they are at risk. Although lots of wildlife can be infected with the Leptospirosis bacteria, there are some common carriers of the disease. When these infected animals urinate, if your dog comes into contact with the urine, they can get the Leptospirosis bacteria. Wildlife obviously go to the bathroom where ever, including by bodies of water, making it easy for dogs to roam around in areas that could be infected. If your dog comes in contact with infected water, soil or urine, your dog is going to need medical attention fairly quickly. The bacteria will rapidly advance through the bloodstream which can lead to a fever and joint pain. It will settle in the kidneys and reproduces there. It can lead to inflammation in the kidneys or even kidney failure may develop. Liver failure is also common along with meningitis and respiratory distress. If it isn’t caught early, Leptospirosis can be fatal for your dog, causing death. 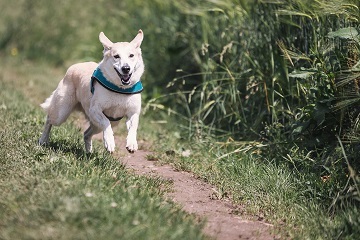 Although this isn’t one of the many vaccinations or core vaccinations that our dogs are required to get, there are many dogs that could really benefit from getting the Leptospirosis vaccine. It is considered an optional vaccine that is based on the risk of exposure to the disease. In past years, this vaccine was considered more of the country dog’s vaccine, since they have more opportunities to be in areas where wildlife is, but that isn’t necessarily the case. Rodents can be found anywhere, and there are several cases of dogs that are living in cities that have gotten infected from either mice or rats. Since there are many strands of this bacteria, it is not a guarantee that your dog won’t be infected if they are vaccinated, but kidney and liver disease is usually seen less often in dogs who have been vaccinated. It is very important that if your dog has been exposed to the Leptospirosis bacteria that you seek medical attention. This is something that is curable, especially if you act quickly. Your veterinarian will treat an exposed dog with antibiotics. The survival rate for dogs that are treated quickly is approximately 90%. Although most dogs don’t have a reaction to receiving the Leptospirosis vaccination, there are some cases where 1 to 2 days after vaccination, your dog could experience some of the following reactions. Contact your veterinarian if your dog is showing any of the following. Puppies – initial vaccine is administered at 12 weeks old and repeated 2 to 4 weeks later. Over 4 months old or adult dogs – the first time receiving the vaccine, your dog should receive 2 doses that are given 2 to 4 weeks apart. Annual vaccinations after initial doses. Dogs that are at an exceptionally high risk should be vaccinated every 6 to 9 months throughout the period of high risk exposure. If your dog has an active outdoor lifestyle, including swimming they are at risk and I wouldn’t even consider is the leptospirosis vaccine necessary for your dog. It is definitely necessary. There are just too many things that active dogs can get in, and the risk just isn’t worth it. Soil can remain contaminated for months. You can lower the risk of your dog getting Lepto by preventing your dog from drinking from puddles of standing water or by prohibiting them from swimming in lakes, streams or other bodies of water that may be contaminated. If your dog enjoys the outdoors, most of these preventions with your dog are hard to do. Dogs like drinking water from puddles, laying in puddles and swimming. It is also hard to know when a dog will decide to eat a little treat that they find outdoors, and at times, that can be hard to control. I would recommend that unless your dog lives and spends all of his life in an apartment, that getting the Leptospirosis vaccine is a wise decision to protect your dog. If you have any questions or comments, please leave them below. You can follow justforyourdog.com on Pinterest, FaceBook or Twitter for all the latest dog updates.